02/23/18 Chrysler (fca us llc) is recalling certain 2018 jeep grand cherokee trackhawk vehicles equipped with a 6.2l supercharged engine. the fuel line may separate. 11/10/17 Chrysler (fca us llc) is recalling certain 2011-2014 dodge durango and jeep grand cherokee vehicles. the affected vehicles had brake booster shields installed under a previous campaign to prevent water from entering the brake booster and limiting braking ability. this recall is to verify that the brake booster shield installation was performed properly. 12/23/16 Chrysler (fca us llc) is recalling certain model year 2016 dodge durango and jeep grand cherokee vehicles manufactured february 10, 2016, to april 28, 2016 and equipped with a 3.6l engine built at the saltillo engine plant. during the assembly of the engine, the fuel rail crossover tube may have been damaged, which, over time, may result in a fuel leak. 05/27/16 Chrysler (fca us llc) is recalling certain model year 2016 jeep grand cherokee vehicles manufactured may 15, 2015 to february 19, 2016. the brake transmission shift interlock solenoid may have a loose electrical connection which could result in a loss of solenoid function. If the solenoid loses function, the transmission may lock in the park or neutral position when the vehicle comes to a stop, possibly rendering the vehicle disabled in traffic, increasing the risk of a crash. Chrysler will notify owners, and dealers will replace the shifter assembly, free of charge. the recall began on may 27, 2016. owners may contact chrysler customer service at 1-800-853-1403. chrysler's number for this recall is s28. 05/12/16 Chrysler (fca us llc) is recalling certain model year 2015-2016 jeep grand cherokee and dodge durango vehicles manufactured december 9, 2015, to january 14, 2016. in the affected vehicles, the left front brake caliper may crack due to being made from an incorrect material. 06/27/14 Chrysler group llc (chrysler) is recalling certain model year 2014 dodge durango vehicles manufactured january 16, 2014 to april 8, 2014, jeep grand cherokee vehicles manufactured january 16, 2014 to april 8, 2014, jeep grand cherokee srt vehicles manufactured february 3, 2014 to april 8, 2014, and jeep cherokee vehicles manufactured march 6, 2014 to april 17, 2014. when the adaptive cruise control is engaged and the driver presses the accelerator pedal to increase the vehicle's speed more than the cruise control system would on its own, the vehicle may continue to accelerate briefly after the accelerator pedal is released. 05/30/14 Chrysler group llc (chrysler) is recalling certain model year 2011-2014 jeep grand cherokee and dodge durango vehicles manufactured from january 5, 2010, through september 8, 2013. the subject vehicles have a brake booster with a center shell that may corrode and allow water to get inside. 11/19/13 Chrysler group, llc (chrysler) is recalling certain model year 2014 jeep grand cherokee vehicles manufactured january 8, 2013, through august 20, 2013. due to a disruption of computer communications and loose alternator ground wires, the affected vehicles may experience random illumination of multiple instrument cluster warning lights, loss of cluster illumination and loss of anti-lock brake system (abs) and electronic stability control (esc) function. because of these conditions, the vehicles fail to conform to the requirements of federal motor vehicle safety standard (fmvss) no. 101, "controls and displays," and no. 126, "electronic stability control systems." 11/30/09 Chrysler is recalling certain model year 2010 jeep grand cherokee passenger vehicles manufactured from october 22 through november 12, 2009. the passenger side airbag may not properly deploy through the instrument panel tear seam. Chrysler's campaign number is j33.owners may also contact the national highway traffic safety administration's vehicle safety hotline at 1-888-327-4236 (tty 1-800-424-9153), or go to http://www.safercar.gov . 10/22/07 On certain sport utility vehicles, front brake calipers in a certain lot may have been manufactured from gray iron instead of ductile iron as designed and could fracture without warning. Daimlerchrysler recall no g35. customers may also contact the national highway traffic safety administration's vehicle safety hotline at 1-888-327-4236 (tty 1-800-424-9153), or go to http://www.safercar.gov. 10/22/07 On certain sport utility vehicles, the software programmed into the abs electronic control module may allow a momentary delay in braking when coasting up a hill during certain conditions. Dealers will reprogram the abs electronic control module with new software that prevents this condition free of charge. the recall began on october 22, 2007. owners may contact chrysler at 1-800-853-1403. Chrysler recall no. g40.customers may also contact the national highway traffic safety administration's vehicle safety hotline at 1-888-327-4236 (tty 1-800-424-9153), or go to http://www.safercar.gov. 09/04/06 On certain sport utility vehicles, the plastic blades of the electric motor driven cooling fan may separate and penetrate the shroud. If this occurs while the hood is open, a person in the vicinity of the engine could be struck by the blade and injured. Dealers will replace the electric cooling fan modules free of charge. the recall began on september 4, 2006. owners may contact daimlerchrysler at 1-800-853-1403. Daimlerchrysler recall no. f25.customers may also contact the national highway traffic safety administration's vehicle safety hotline at 1-888-327-4236 (tty 1-800-424-9153), or go to http://www.safercar.gov. 08/02/06 On certain sport utility vehicles, the inflator connector for the driver's air bag may have been incorrectly assembled. Daimlerchrysler recall no. f39.customers may also contact the national highway traffic safety administration's vehicle safety hotline at 1-888-327-4236 (tty 1-800-424-9153), or go to http://www.safercar.gov. 03/12/03 On certain sport utility vehicles, the power steering gear may contain an improperly formed spacer clip, which could dislodge within the steering gear. A dislodged clip may cause increased steering effort, increasing the risk of a crash. Dealers will replace the steering gear assemblies. owner notification began on march 12, 2003. owners who take their vehicles to an authorized dealer on an agreed upon service date and do not receive the free remedy within a reasonable time should contact daimlerchrysler at 1-800-853-1403. 03/04/02 Certain sport utility vehicles equipped with a fuel tank brush guard fail to comply with the requirements of fmvss no. 301, "fuel system integrity." the onboard refueling vapor recovery (orvr) control valve can become detached during a crash, allowing fuel leakage. Dealers will either replace the fuel tank brush guard with a skid plate or reinforce the existing fuel tank brush guard with a reinforcement bracket. owner notification will begin march 4, 2002. owners who take their vehicles to an authorized dealer on an agreed upon service date and do not receive the free remedy within a reasonable time should contact daimlerchrysler at 1-800-853-1403. 12/03/01 Vehicle description: sport utility vehicles. the onboard vapor recovery system vent hose may have been misrouted. this could allow water to enter the canister which can cause fuel to spill out of the filler tube when refueling the tank. Dealers will inspect (and reposition as necessary) the vent hose. if the vent hose is found in the bent down position, and the vehicle has been driven more than 20 miles, the canister assembly will be replaced. owner notification began december 3, 2001. owners who take their vehicles to an authorized dealer on an agreed upon service date and do not receive the free remedy within a reasonable time should contact daimlerchrysler at 1-800-853-1403. 10/08/01 Vehicle description: certain sport utility vehicles are being recalled for a software error in the instrument cluster microprocessor. under certain conditions, the cluster, with the majority of its gauges, illumination, and warning lamps, could become inoperative. 12/26/00 Vehicle description: sport utility vehicles. an internal nut in the steering gear assembly could loosen and cause the steering gear to lock up. This could reduce steering control, increasing the risk of a crash. Dealers will replace the steering gear assembly. owner notification began december 27, 2000. owners who take their vehicles to an authorized dealer on an agreed upon service date and do not receive the free remedy within a reasonable time should contact daimlerchrysler at 1-800-853-1403. 08/28/00 Vehicle description: sport utility vehicles. some of these vehicles may have been built with fuel tanks with suspect vent tube welds. Separation of the vent tube weld could result in a fuel leak. fuel leakage in the presence of an ignition source could result in a fire. Dealers will replace any fuel tanks built in the suspect time period. the vehicle will be inspected and if the bar code on the fuel tank indicates that the tank was built during the suspect period, it will be replaced. Owner notification began august 28, 2000. owners who take their vehicles to an authorized dealer on an agreed upon service date and do not receive the free remedy within a reasonable time should contactdaimlerchrysler at 1-800-992-1997. also contact the national highway traffic safety administration's auto safety hotline at 1-888-dash-2-dot (1-888-327-4236). 10/09/15 Engine This defect can affect the safe operation of the airbag system. until this recall is performed, drivers should adjust their seat to allow clearance between the driver's knee and the ignition key, and remove all items from their key ring, leaving only the vehicle key. chrysler group llc (chrysler) is recalling certain model year 2005-2007 jeep grand cherokee vehicles manufactured february 11, 2004, to july 5, 2007, and 2006-2007 jeep commander vehicles manufactured january 31, 2005, to july 5, 2007. in the affected vehicles, the driver may accidentally hit the ignition key with their knee, unintentionally knocking the key out of the run position, turning off the engine. Chrysler will notify owners, and dealers will replace the ignition switch, free of charge. chrysler sent interim notifications to owners in september 2014. the recall began on october 9, 2015. owners may contact chrysler customer service at 1-800-853-1403. chrysler's number for this recall is p41. 12/24/01 Engine Vehicle description: sport utility vehicles. the fuel inlet check valve could stick in the partially open position. this condition could cause fuel to spill out of the filler tube during refueling. Dealers will inspect the fuel inlet check valve. vehicles found to have a sticking fuel inlet check valve will have the fuel tank assembly replaced. owner notification began december 24, 2001. owners who take their vehicles to an authorized dealer on an agreed upon service date and do not receive the free remedy within a reasonable time should contact daimlerchrysler at 1-800-853-1403. 08/15/13 Transmission and Drivetrain Chrysler group llc (chrysler) is recalling certain model year 2005-2010 jeep grand cherokee vehicles manufactured february 11, 2004, through march 9, 2010; and 2006-2010 jeep commander vehicles manufactured january 31, 2005, through march 10, 2010. a transfer case electrical failure may result in an unintentional shifting of the transfer case into the neutral position. Chrysler will notify owners, and dealers will reflash the final drive controller which governs the transfer case, with new software, free of charge. the recall began on august 15, 2013. owners may contact chrysler at 1-800-247-9753. chrysler's recall campaign number is n23. 10/31/05 Transmission and Drivetrain On certain sport utility vehicles equipped with 3.7l engines and nag1 automatic transmissions, the air conditioner evaporator condensate water may enter the transmission at the fill tube grommet seal. this can result in shudder during torque converter clutch engagement. It can lead to increased transmission operating temperatures, boiling of the water, and a subsequent purging of transmission fluid into the engine compartment potentially resulting in an underhood fire. Dealers will inspect the transmission for leakage at the fill tube grommet seal. if no leak is detected, a new fill tube grommet seal and water deflector shield will be installed, and proper alignment of the fill tube verified. if the presence of a leak is detected, the vehicle will be evaluated for shudder during torque converter engagement. if no shudder is detected, the transmission will be triple flushed, and new fill tube grommet seal and water deflector will be installed and proper alignment of the fill tube verified. if shudder is detected, the torque converter will be replaced, a new fill tube grommet seal and water deflector will be installed, and proper alignment of the fill tube verified. the recall began on october 31, 2005. owners may contact daimlerchrysler at 1-800-853-1403. Daimlerchrysler recall no. e13.customers may also contact the national highway traffic safety administration's vehicle safety hotline at 1-888-327-4236 (tty 1-800-424-9153), or go to http://www.safercar.gov. 11/10/17 Brakes and Traction Control Chrysler (fca us llc) is recalling certain 2011-2014 dodge durango and jeep grand cherokee vehicles. the affected vehicles had brake booster shields installed under a previous campaign to prevent water from entering the brake booster and limiting braking ability. this recall is to verify that the brake booster shield installation was performed properly. 11/24/14 Brakes and Traction Control Chrysler group llc (chrysler) is recalling certain model year 2014 dodge durango, and jeep grand cherokee vehicles manufactured october 3, 2013, to april 11, 2014. due to an issue with the software for the steering column control module (sccm), the electronic stability control (esc) may be disabled. 04/03/14 Brakes and Traction Control Chrysler group llc (chrysler) is recalling certain model year 2012-2013 dodge durango and jeep grand cherokee vehicles manufactured october 11, 2011, through october 1, 2012. under certain braking events, the ready alert braking system (rab) may result in the driver experiencing a hard brake pedal feel. 11/19/13 Brakes and Traction Control Chrysler group, llc (chrysler) is recalling certain model year 2014 jeep grand cherokee vehicles manufactured january 8, 2013, through august 20, 2013. due to a disruption of computer communications and loose alternator ground wires, the affected vehicles may experience random illumination of multiple instrument cluster warning lights, loss of cluster illumination and loss of anti-lock brake system (abs) and electronic stability control (esc) function. because of these conditions, the vehicles fail to conform to the requirements of federal motor vehicle safety standard (fmvss) no. 101, "controls and displays," and no. 126, "electronic stability control systems." 02/01/10 Brakes and Traction Control Chrysler is recalling certain model year 2010 chrysler sebring; dodge avenger and nitro; jeep liberty, commander and grand cherokee; and model year 2009-2010 dodge ram truck. these vehicles may have been built with an improperly formed or missing brake booster input rod retaining clip. Chrysler's safety campaign number is j37.owners may also contact the national highway traffic safety administration's vehicle safety hotline at 1-888-327-4236 (tty 1-800-424-9153), or go to http://www.safercar.gov . 07/29/15 Suspension and Steering Chrysler (fca us llc) is recalling certain model year 2015 jeep grand cherokee and dodge durango vehicles manufactured june 12, 2015, to june 20, 2015. the affected vehicles may be equipped with rear lower control arms that may have been incorrectly heat treated. this may cause the rear lower control arm to fracture. 07/28/16 Electrical and Air Conditioning Chrysler (fca us llc) is recalling certain model year 2011-2013 dodge durango and jeep grand cherokee vehicles manufactured december 3, 2009, to september 1, 2012. in the affected vehicles, the wiring for the vanity lamp in the sun visor may short circuit, after having been remedied for a prior recall for the vanity lamp wiring. this recall is also addressing certain vehicles that have not been remedied under that prior recall. 05/05/16 Electrical and Air Conditioning Chrysler (fca us llc) is recalling certain model year 2003 jeep liberty vehicles manufactured march 29, 2003, to july 3, 2003, and 2004 jeep grand cherokee vehicles manufactured may 27, 2003, to may 20, 2004. due to electrical noise beyond the tolerance of the air bag electronic control module (ecm), a component in the ecm may fail, causing the front air bags, side air bags, and/or seatbelt pretensioners to deploy inadvertently while the vehicle is being operated. Chrysler will notify owners, and dealers will replace the air bag electronic control module and the side impact sensors, as necessary, free of charge. the recall began on may 5, 2016. owners may contact chrysler customer service at 1-800-853-1403. chrysler's number for this recall is r60. 12/29/15 Electrical and Air Conditioning Chrysler (fca us llc) is recalling certain model year 2002-2003 jeep liberty vehicles manufactured january 9, 2001, to march 28, 2003, 2002-2004 jeep grand cherokee vehicles manufactured february 13, 2001, to may 23 2003, and 2003-2004 dodge viper vehicles manufactured november 1, 2001, to june 30, 2004. due to electrical noise beyond the tolerance of the air bag electronic control module (ecm), a component in the ecm may fail, causing the front air bags, side air bags, and/or seatbelt pretensioners to deploy inadvertently while the vehicle is being operated. 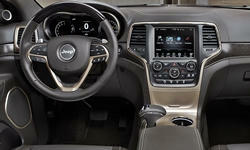 Chrysler dealers will replace the air bag control module and side impact sensors as required, free of charge. these parts are not currently available, however, an interim repair is available free of charge that reduces the risk of an inadvertent deployment. this recall remedy was applied during earlier recall campaigns of these vehicles under safety recalls 12v527 and 13v040. all owners that have not had the recall repair performed under safety recalls 12v527 or 13v040 are strongly encouraged to have it performed and not wait for the final remedy to be deployed to the field. the recall began on december 29, 2015. owners may contact chrysler customer service at 1-800-853-1403. chrysler's number for this recall is r06. 08/07/15 Electrical and Air Conditioning Chrysler (fca us llc) is recalling certain model year 2012-2013 jeep grand cherokee vehicles manufactured september 17, 2010, to august 19, 2013, and equipped with a 3.6, 5.7 or 6.4 liter engine, and 2012-2013 dodge durango vehicles manufactured january 18, 2011, to august 19, 2013, and equipped with a 3.6 or 5.7 liter engine. in the affected vehicles, the fuel pump relay inside the totally integrated power module (tipm-7) may fail, causing the vehicle to stall without warning. Chrysler will notify owners, and dealers will replace the fuel pump relay with one external to the tipm. the recall began on august 7, 2015. owners may contact chrysler customer service at 1-800-853-1403. chrysler's number for this recall is r09. note: this recall is an expansion of recall 14v-530. 04/27/15 Electrical and Air Conditioning Chrysler group llc (chrysler) is recalling certain model year 2014 dodge durango vehicles manufactured june 2, 2013, to june 28, 2014, and 2014 jeep grand cherokee vehicles manufactured october 30, 2012, to april 30, 2014. due to a fault within the occupant restraint control (ocr) module, the frontal air bags, seat belt pretensioners, and side air bags may be disabled. the malfunction indicator light ?mil? should illuminate to initially warn drivers of a failure. 12/19/14 Electrical and Air Conditioning Chrysler group llc (chrysler) is recalling certain model year 2011 dodge durango and jeep grand cherokee vehicles manufactured january 5, 2010, to july 20, 2011, and equipped with either a 3.6l or 5.7l engine. in the affected vehicles, the fuel pump relay inside the totally integrated power module (tipm-7) may fail, causing the vehicle to stall without warning. Chrysler will notify owners, and dealers will replace the fuel pump relay with one external to the tipm, free of charge. the recall began december 19, 2014. owners may contact chrysler customer service at 1-800-853-1403. chrysler's number for this recall is p54. 08/25/14 Electrical and Air Conditioning Chrysler group llc (chrysler) is recalling certain model year 2011-2014 dodge durango and jeep grand cherokee vehicles manufactured january 5, 2010, through december 11, 2013. in the affected vehicles, the wiring for the vanity lamp in the sun visor may short circuit, after a service repair is performed. 06/27/14 Electrical and Air Conditioning Chrysler group llc (chrysler) is recalling certain model year 2014 dodge durango vehicles manufactured january 16, 2014 to april 8, 2014, jeep grand cherokee vehicles manufactured january 16, 2014 to april 8, 2014, jeep grand cherokee srt vehicles manufactured february 3, 2014 to april 8, 2014, and jeep cherokee vehicles manufactured march 6, 2014 to april 17, 2014. when the adaptive cruise control is engaged and the driver presses the accelerator pedal to increase the vehicle's speed more than the cruise control system would on its own, the vehicle may continue to accelerate briefly after the accelerator pedal is released. 09/13/13 Electrical and Air Conditioning Chrysler is recalling certain model year 2002 and 2003 jeep liberty vehicles manufactured january 9, 2001, through march 28, 2003, and 2002 through 2004 jeep grand cherokee vehicles manufactured february 13, 2001, through may 23, 2003. a component in the air bag control module may fail causing the front airbags, side curtain airbags, and/or seatbelt pretensioners to deploy inadvertently while the vehicle is being operated. Inadvertent deployment of the airbags may increase the risk of injury and the possibility of a vehicle crash. Chrysler will notify owners, and dealers will install a supplemental jumper harness to the airbag control module, free of charge. owners were notified of the recall by interim letter in january 2013. the remedy for affected liberty vehicles is expected to be available in april 2013. the remedy for affected grand cherokee vehicles is expected to be available later in the year. owners may contact chrysler at 1-800-247-9753. Chrysler's recall campaign number is m35.owners may also contact the national highway traffic safety administration vehicle safety hotline at 1-888-327-4236 (tty 1-800-424-9153), or go to www.safercar.gov. 09/12/13 Electrical and Air Conditioning Chrysler is recalling certain model year 2014, non-srt trimmed, grand cherokee vehicles manufactured january 14, 2013, through march 20, 2013 equipped with premium headlamps. in the affected vehicles, when switching between daytime running lights and parking lights, electrical spikes may cause the parking lamps to turn off. without properly functioning parking lamps these vehicles fail to conform to the requirements of federal motor vehicle safety standard (fmvss) no. 108, "lamps, reflective devices, and associated equipment." 08/15/13 Electrical and Air Conditioning Chrysler group llc (chrysler) is recalling certain model year 2005-2010 jeep grand cherokee vehicles manufactured february 11, 2004, through march 9, 2010; and 2006-2010 jeep commander vehicles manufactured january 31, 2005, through march 10, 2010. a transfer case electrical failure may result in an unintentional shifting of the transfer case into the neutral position. 11/23/09 Electrical and Air Conditioning Chrysler is recalling 103,409 my 2001-2004 jeep grand cherokee vehicles with heated seats and with chrysler recall no. 06v-197 completed (03-04 my) or seat heater elements service replacement (01-02 my). the front seat electric heater elements could overheat. Overheating could potentially cause a fire or injury. Dealers will replace the front seat heater elements free of charge. 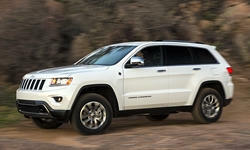 the recall began on november 23, 2009. owners may contact chrysler at 1-800-853-1403. Chrysler recall no. j14.owners may also contact the national highway traffic safety administration's vehicle safety hotline at 1-888-327-4236 (tty 1-800-424-9153), or go to http://www.safercar.gov . 06/01/09 Electrical and Air Conditioning Chrysler is recalling 4,314 my 2009 dodge journey, jeep grand cherokee, commander and wrangler vehicles. wiring may be reversed on the steering column control module driver airbag squib connector. the driver's airbag may not deploy as intended. Chrysler recall no. j13.owners may also contact the national highway traffic safety administration's vehicle safety hotline at 1-888-327-4236 (tty 1-800-424-9153), or go to http://www.safercar.gov . 07/24/06 Electrical and Air Conditioning On certain sport utility vehicles equipped with heated seats, the front passenger seat electric heater element could overheat. Overheating could potentially cause a fire. Dealers will replace the heated seat elements. the recall began on july 24, 2006. owners may contact daimlerchrysler at 1-800-853-1403. Daimlerchrysler recall no. f17.customers may also contact the national highway traffic safety administration's vehicle safety hotline at 1-888-327-4236 (tty 1-800-424-9153), or go to http://www.safercar.gov. 03/29/04 Electrical and Air Conditioning On certain sport utility vehicles equipped with 4.0l engines, the crankshaft position sensor wiring insulation may crack and expose the wire. In the presence of moisture, this could result in sensor malfunction, which could cause the engine to stall, increasing the risk of a crash. Dealers will replace the crankshaft position sensor. owner notification began on march 29, 2004. owners should contact daimlerchrysler at 1-800-853-1403. Daimlerchrysler recall no. d13.customers can also contact the national highway traffic safety administration's auto safety hotline at 1-888-dash-2-dot (1-888-327-4236). 04/29/02 Electrical and Air Conditioning On certain sport utility vehicles, the passenger air bag wiring harness was improperly manufactured. Dealers will add a wiring jumper to the existing circuitry to correct this condition. owner notification began april 29, 2002. owners who take their vehicles to an authorized dealer on an agreed upon service date and do not receive the free remedy within a reasonable time should contact daimlerchrysler at 1-800-853-1403. 10/31/16 Other Chrysler (fca us llc) is recalling certain model year 2017 jeep grand cherokee manufactured august 8, 2016 through august 16, 2016. in the affected vehicles, the rear tow hook bracket or tow eye bracket may be loose. 04/27/15 Other Chrysler group llc (chrysler) is recalling certain model year 2014 dodge durango vehicles manufactured june 2, 2013, to june 28, 2014, and 2014 jeep grand cherokee vehicles manufactured october 30, 2012, to april 30, 2014. due to a fault within the occupant restraint control (ocr) module, the frontal air bags, seat belt pretensioners, and side air bags may be disabled. the malfunction indicator light ?mil? should illuminate to initially warn drivers of a failure. 04/12/10 Other Chrysler is recalling model year 2010 jeep commander and grand cherokee vehicles. they may have been built with an improperly manufactured rear track bar. 03/01/04 Other On certain sport utility vehicles, due to a recent software programming error, the tire, wheel, and inflation pressure information was inadvertently omitted from the vehicle certification label. The vehicle owner would not be aware of the tire, wheel, and inflation pressure information for their vehicle. Owners will be provided with a corrected tire certification label. owner notification began on march 1, 2004. owners should contact daimlerchrysler at 1-800-853-1403. Daimlerchrysler recall no. d05.customers can also contact the national highway traffic safety administration's auto safety hotline at 1-888-dash-2-dot (1-888-327-4236).